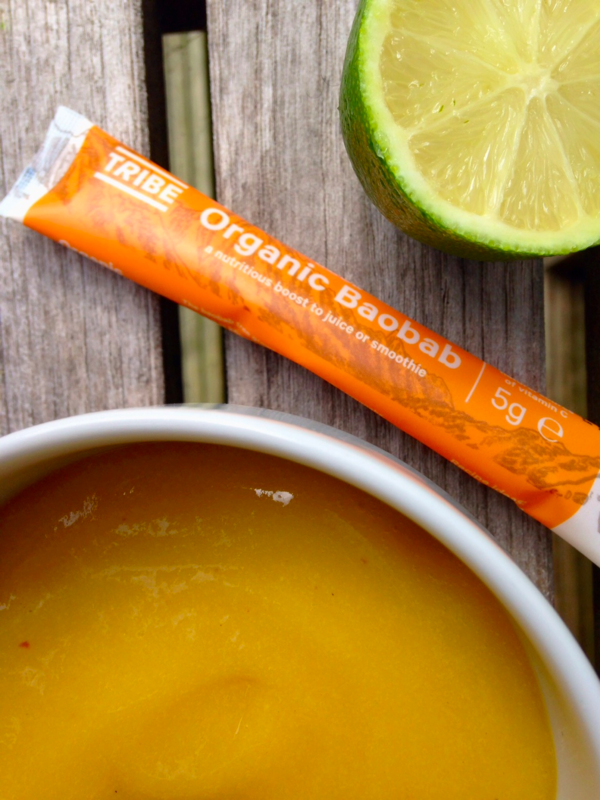 This zingy Baobab coulis makes the perfect breakfast or post-run cooling snack. This is such a simple recipe and is loaded with energy and antioxidants. Preheat the oven to 160. Mix all the ingredients, except for the dried fruit, in a large bowl. Tip the granola onto two baking sheets, bake for 20 minutes. Remove to a flat tray to cool. Pour the yoghurt onto the toasted oats in a serving bowl and set aside. Peel and cut up the mango into chunks and add to blender. Blend on high with the honey, baobab and lime juice until a thick liquid consistency. Pour mixture onto the yoghurt. Top with Tribe Organic Mountain Berries or one of our Trail Pods.